Home RV Life What Does a 2800 Mile, 40 Night RV Trip Cost? Of course, the answer to this question will be different for everyone undertaking such a trip but I thought you might be interested in knowing what my 2800 mile, 40 night RV trip cost. I’m sure it is no surprise to anyone that this was the biggest expense of the trip, especially since many of my miles were through California. I paid almost $5 a gallon in some places! Once I got into Arizona, the cost went down to under $4 a gallon and in Texas under $3 gallon. I was using premium gas while I was hauling because I wanted to help my car out with all the oomph I could. In retrospect, it may not have been necessary but it gave me a little extra sense of well-being at the time. I averaged around 10 miles to the gallon in mountainous areas and around 12.5 on long level stretches. This actually would have been my largest expense if not for Passport America. I stayed almost exclusively at Passport America parks, saving 50% at each one. Some parks only allow one night at the discounted rate and others perhaps as many as six or seven. One park I stayed at allowed fourteen nights. There were a couple of towns I wanted to stop at that didn’t have a Passport America park. At those, I received a 10% AAA or Good Sam discount. One park didn’t offer any discounts but was only $20 a night anyway. For full disclosure, I received four nights free at one park. They had some undesirable people staying in the park that they kicked out. Apparently, those folks decided they needed to take my chairs on the way out. The park staff was mortified, offered me the free nights and replaced my chairs! If I had paid full price for the 35 nights I stayed in RV parks, this total would be nearly $1500! Thank you, Passport America and your member parks! Although boondocking with Harvest Hosts‘ sites is “free,” this is intended to be a mutually beneficial arrangement. That means, you should visit your host and make a purchase. I stayed five nights with four hosts, averaging $25 a night but I had some awesome products and interesting experiences to show for it. I cooked and ate most of my meals in the trailer. I eat pretty simply — mostly just meat and vegetables — and I usually only eat two meals a day. My main vices are seeds and nuts which can get pricey if you can’t find them in bulk. I try to eat keto so I don’t buy any other snack type items which can really add up fast. I even treated myself to shrimp and steak on a few occasions. The total grocery cost includes feeding my three cats their homemade raw diet of chicken or pork for the entire trip. I had about a week’s worth of food for them that I took from home as well as a couple of days of food for myself, like the rabbit above. Boy, you can really see here how eating out can effect your budget. I ate only five what I would call “nice meals” out. Some of the leftovers from these meals did make second and even third meals later. The rest of the cost was a little fast food here and there when I stopped for gas and, of course, a few blizzards. I said goodbye to blizzards yesterday. I had my last one before I seriously get back to low carb eating. As you can see from the photos, I wasn’t very good about eating keto when I ate out. Dinner at Buck Owens Crystal Palace in Bakersfield, CA – $51.60 including tip, wine and entertainment. I got three more meals out of this gigantic pork chop! Lunch at Historic Brewing in Williams, AZ – $29.51 including tip and beer. The leftovers made a great deconstructed pastrami sandwich. Lunch at Iron Cactus in San Antonio, TX – $26.19 including tip and margarita. No leftovers here even though I couldn’t eat it all. I still had lots of sightseeing to do. Here’s where I felt like I really splurged but in the overall scheme of things, really isn’t that much. Most of it was for the Grand Canyon Railway and bus tour ($183.99) and sightseeing and parking in San Antonio ($65.54). Most places I went had very low entry fees, I used my NPS pass or they were free. I didn’t spend much on souvenirs. Since I worked so hard at downsizing for the trip I just couldn’t justify buying “stuff.” I bought a couple of t-shirts, which I can always use, and a couple of other small items. I did laundry three times – I think a total of four loads. I filled my propane tanks before I left on the trip, adding that to my home propane bill, so I didn’t think at the time to get the amount. I had my tanks filled in Albuquerque to be sure they were topped off but they were only about half empty as I had switched over to the second tank before the first was empty. The temperatures were in the 20s at night and I didn’t want to run out during the night and not have the furnace come on. One tank is still almost full so, basically, I used two 30 pound tanks of propane over the 40 nights. I knew when I left that my tanks were out of inspection so I decided to have that done when I had them filled. That was $20 of the cost. This category includes wine I purchased at wineries I visited but didn’t stay at. It also includes two long-sleeved shirts and a pair of jeans. I only took a couple of long-sleeved shirts and the weather was cooler most of the time during the day than I had anticipated it being. For a trip just two days shy of six weeks, I don’t think that is too bad! That is an average of just over $500 a week for my RV trip cost. The other expenses I had during that time were my health insurance, car/RV insurance, cell phone and DirecTV totaling about $500. That brings my monthly expense to just over $2500. This isn’t a whole lot more than it cost me to live in my sticks and bricks house and look at the adventure I had! I wouldn’t want to spend this amount on a regular basis and, of course, could not afford it now that I have given up my pet sitting business. My future trips will involve lots more boondocking and fewer miles driven. One of my disappointments on this trip was not having enough time in each location. 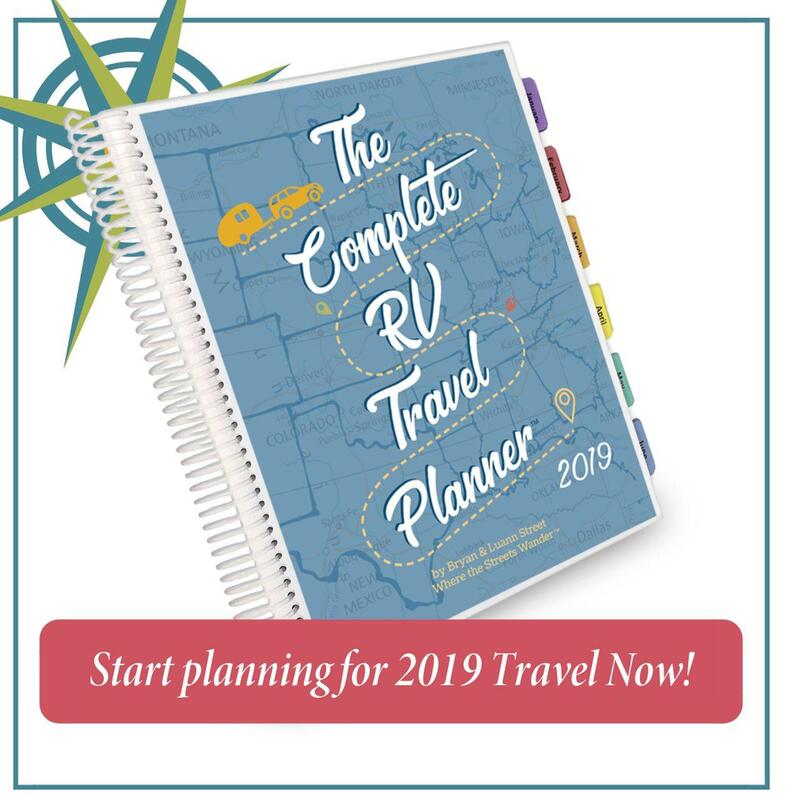 Do you have a budget for your RV trips? Are you a full timer? Any insights for me? Your trip looks epic! I would love to do this one. I did my first RV trip last year across Florida. Gas was so expensive. I’m not familiar with the harvest host sites, that sounds interesting. I love that you guys cook like we do in an RV, gourmet all the way. That was one juicy and yummy looking steak! I had such an amazing time! If you RV much I definitely recommend looking into Harvest Hosts. You calculate your RVing costs a little differently than us. Since our food / eating out bill on the road is the same as it is at home, food costs are not included. I do include licence, insurance, maintenance and repair costs, averaged out per mile. Gasoline is expensive and usually represents the biggest single cost. Propane is getting expensive too, but prices vary widely so it pays to shop around. We always fill our bottles at Costco when we can as they are about half the cost of most gas stations. BTW, premium fuel is a waste of $ and actually slightly decreases your performance and mileage unless you have had your RV’s computer reprogrammed to use it. Yes, even a Hemi! I have noticed a number of SUVs towing travel trailers similar to yours that have spoilers or wind deflectors mounted on the SUV. Most of them claim it helps handling and mileage a little, especially going into a headwind. You may want to ask your fellow RVers next time you see one in the campground. That’s a pretty economical trip for the amount of time, meals, distance, and numbers of mouths to feed (hungry kitties eat a lot too!). Hi Imei! I thought it was pretty reasonable, too.